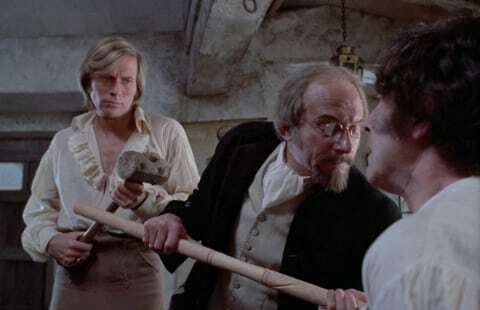 When his village is plagued by mysterious deaths marked by highly accelerated aging, Dr. Marcus calls in his army friend Captain Kronos who, along with his companion Hieronymus Grost, is a vampire hunter. Along the way, Kronos and Grost take in a local gypsy girl, Carla, who had been sentenced to the stocks for dancing on the Sabbath. Grost explains to the initially sceptical Marcus that the dead women are victims of a vampire who drains not blood but youth, though this is contradicted by an eyewitness who claims to have seen “someone old, very old”, whereas a youth-draining vampire should appear youthful. Perhaps the rich Durward family who live nearby are involved? 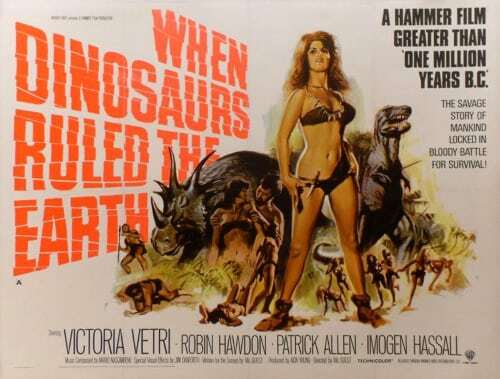 It’s a great shame that this most comic booky of Hammer productions didn’t take off, because the cinema is worse off for not having a series of Captain Kronos films. I’m sorry Bram Stoker, Peter Cushing and everybody else associated with the character of Van Helsing, but the pot smoking, woman shagging, sword fighting Kronos [who is really closer to Blade] is an even cooler vampire hunter and I still like to think, now the film has considerable cult status, they may revive him for a TV series. An even more radical take on the world of vampires than Vampire Circus, Brian Clemens’s second film for the studio, which he directed as well as wrote, is easily as fun as his first Dr Jekyll And Sister Hyde, and is only seriously hampered by an even smaller budget than normal which does sadly show throughout. I suppose you could also complain that too much happens that goes unexplained, such as a gory vampire bat attack. It’s never stated elsewhere that these vampires can turn into bats or can summon them. The event just happens and we’re none the wiser, but then we’re in the world of Brian Clemens, where randomness is often the order of the day, so should this approach really be considered a problem? Clemens was asked to write a vampire film, and his crew comprised greatly of Avengers alumni. He wanted Simon Oates as Kronos and Ingrid Pitt in the small role of Wanda Ventham, but was turned down by both. A huge search was made for a suitable Kronos until Horst Janson was found, though his German accent was deemed too thick so Julian Holloway looped his performance. Ian Hendry said that he’d lay of the drink while he shot his small, three day role. Clemens found him with a can of lager in his hand in the first morning of shooting and said to him: “I thought you were going to lay off the booze”. He replied: This isn’t booze, it’s lager”. The film was shot ast Elstree and Borehamwood, Hertforshire. Sadly some of Clemens’s more elaborate ideas like a golden coach for the Durward’s could not be realised due to the budget, most of which was provided by a refundable loan from the National Film Finance Corporation. Hammer didn’t like the film, which got an AA [suitable for those of 14 years old and over] rather than an X certificate, and failed to release it for two years, when it crept out on a poorly distributed double bill with martial arts movie The Girl With The Thunderbolt Kick. This nixed Clemens’s plan for some sequels in which Kronos would travel across time battling various monsters, though three issues of House of Hammer magazine carried a comic strip follow-up. So once again young women who wonder into the forest are being killed, though this time it’s during the day, something which lessens the atmosphere of these scenes but in a way makes things scarier. We know that vampires can walk about in the daylight, but they’re not supposed to possess their powers. These ones are obviously different. As Kronos’s companion Grost [“What he doesn’t know about vampires wouldn’t fill a flea’s codpiece” says Kronos] says: “There are as many species of vampire as there are birds of prey. The traditional stake through the heart does not always hold good, you know, while the cross can only protect those who firmly believe”. The latter two points actually only confirm information that we were given in Dracula Has Risen From The Grave. These vampires also drain youth rather than blood [the rich draining the poor, as it were], cause flowers to wilt when they pass by them, can make dead toads come back to life if they walk over them, and only seem to be harmed by steel. Kronos has his work cut out for him, but he likes to spend much time resting and mentally preparing for the task ahead. In one amusing montage he meditates with a towel over his head while Grost busily fashions some swords out of steel. The touches of comedy are much like this throughout – quite low key, and never seeming out of place. Kronos also spends much time sleeping with the delectable Carla, who virtually comes on to him soon after he’s rescued her from the stocks. Caroline Munro doesn’t really have much of a character to play, though Carla does later aid Kronos and Grost in their mission. There’s emnity between the village’s Dr Marcus and the Durwards because Lady Durward’s husband died from a disease whilst in the care of Marcus. As she’s not of Durward blood, she ages while her children Paul and Lois remain youthful. Because Kronos likes to take his time with matters, the film has a slight sense of marking time too in places, even though he does sometimes get to show his prowess with a sword. There’s a great very Western-style bit in an inn where a bully named Kerro insults the hunchbacked [and isn’t it nice that this is the first time his disability is mentioned?] Grost and draws a sword on Kronos. In lightning speed, Kronos moves his sword twice to despatch not just Kerro but two other goons. His battle with some villagers in a graveyard is scrapily staged and shot, but his climactic sword duel with none other than fight arranger William Hobbs [Flash Gordon, Excalibur], despite Clemens saying that he didn’t have enough time to film the scene to his satisfaction, is really pretty good for a cheapie production such as this even if it’s obvious that Janson can’t really fight and is totally outclassed by his opponent. It’s slightly clumsy, semi-improvised yet realistic and athletic in a manner recalling Hobbs’s work on the 1973 The Three Musketeers and its sequels except for the humorous bits in the fights in those films. By now we’ve been treated to several surprise revelations including the cheeky information that one of the vampires is actually a member of the Karnstein family, which makes it a shame that Pitt didn’t play the role. The most famous scene is the amusing one when Marcus returns from Castle Durward a vampire and neither a stake through the heart, hanging nor fire succeed in killing him. A steel crucifix eventually does the trick. 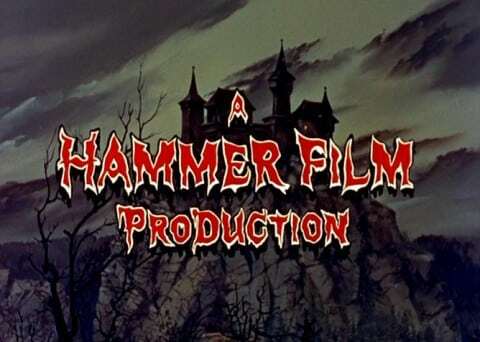 The brutality isn’t dwelt upon – this is a rare Hammer vampire flick in which we don’t get to see the stake go bloodily into the body. 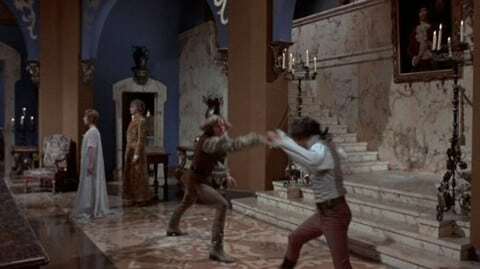 Likewise the vampire attacks, though sometimes effectively staged especially one that takes place largely reflected in a mirror, avoid gruesomeness though plenty of blood is spilled by swords. The shots of aged victims are quite good and Lady Durward looks suitably decrepit, though the deaths of the vampires are handled in just a couple of shots while the sets really are sparse and only partially convincing. Clemens and his cinematographer Ian Wilson attempt to make up for this with some often stylish camerawork with unusual angles and odd editing in places. Another vampire attack has several consecutive shots go into freeze frame. A visual highlight is when Kronos and Carla first ‘get it on’ and move towards each other drifting in and out of dark shadows. It’s almost dreamlike. By contrast, probably the scariest moment is when, as a girl prays for her dead sister in church, the huge cross reflected on the wall starts to change shape before, at the moment of attack, a glass of wine tips over, soaking the altar. Again, there’s no real reason why the cross should do this, but it doesn’t matter much. Janson, who’s 40 years old but looks several years younger, definitely looks the part and displays much vigour [he did all his own stunts], but is a little wooden at times even if we take into account that the voice we hear isn’t his own. He tries hard to be cool and restrained in the manner of, say, Clint Eastwood, but lacks the screen presence for this to work. He does have a good chemistry with John Nater as Grost though, the two almost coming across like Sherlock Holmes and Dr Watson. Shane Briant is oddly bland in this one though – maybe Clemens’s inexperience as a director caused him to not push his actors enough. Laurie Johnson wrote the vibrant score which has a terrific galloping main theme that really gets the viewer in the mood for action and adventure. A cymbalon variant provides the ‘love’ theme and the final swordfight gets some great descriptive musical backing. Elsewhere Johnson uses a lot of Bernard Herrmann-style chords and chord progressions. 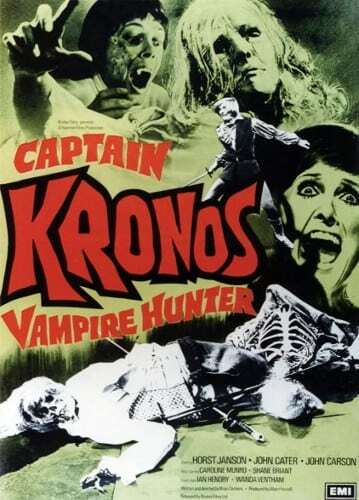 With a bit more money and a bit more time spent on it, Captain Kronos Vampire Hunter could have been a classic. 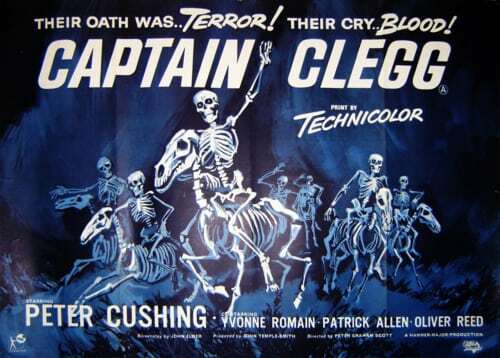 As it stands, the mixture of horror, swashbuckling and [deliberate] camp still makes for one of Hammer’s most entertaining later efforts, full of invention, charm and even wit.